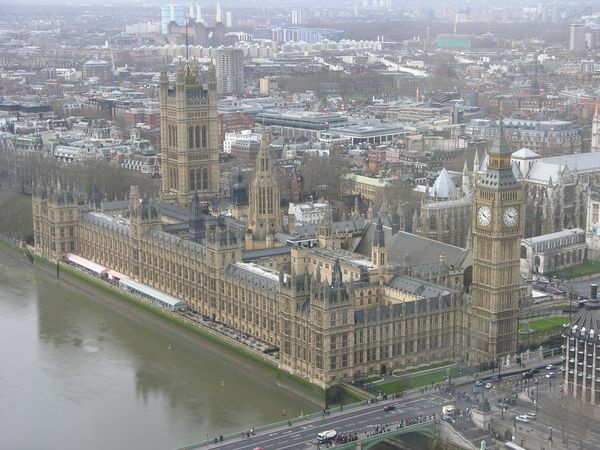 The next parliament will likely continue to be dominated by white male MPs, but is unlikely to be swayed by any one religion, according to a survey of parliamentary candidates for marginal seats conducted by political communications specialist the Whitehouse Consultancy. The survey, which was responded to by 225 parliamentary candidates, has found that two thirds (65.9 percent) are male, with 82 percent claiming to be ‘White British’ in origin. Less than four in ten (37 percent) confirmed they believed in a deity, with a third (33.78 percent) claiming to be atheist. More than four in ten candidates (42 percent) claimed to have no religious denomination – with Church of England being the most common (16 percent), followed by Catholicism (12 percent). The findings follow a recent Win/Gallup poll that found that only 30 percent of Britons claimed to be religious. Other religions were found to be poorly represented in the Whitehouse Consultancy survey, with only two percent of candidates claiming to be Jewish, with two percent claiming to be Muslim and two percent claiming to be Buddhist. The Whitehouse Consultancy has warned the findings suggest a lack of diversity and that more needs to be done to encourage people of different backgrounds to participate in party politics. The Green Party (49 percent), followed by Labour (48 percent) was found to have the highest percentages of atheist candidates. The Conservatives have the highest percentage of Church of England candidates (41 percent). Our neighbours the Ludlow and Marches Humanists have their next meeting on Tuesday 17 March. John Jones, Deputy Returning Officer for Herefordshire, will talk on From Bribery to the Ballot Box and Beyond – Bringing Voting into the 21st Century, covering recent changes to electoral registration. 7.30pm, at The Friends Meeting House, St Mary’s Lane. Ludlow SY8 1DZ. All welcome. 19 May – Annual General Meeting. Appropriate video and cake on offer. 21 June – Summer Social – a saunter and a ramble around Ludlow finishing with lunch at a local hostelry. 20 Oct – Secular Art – Renee Le Grande traces the changes in artistic influences in Western Art. 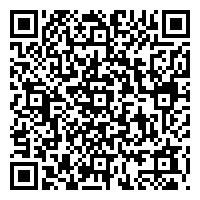 Email them for further information. We would like to see local government meetings conducted in a manner equally welcoming to all attendees, regardless of their individual religious beliefs or lack of belief. We therefore argue that religious worship should play no part in the formal business of council meetings. The Local Government (Religious etc. Observances) Bill seeks to make provision for the inclusion of prayers or “other religious observance” or “observance connected with a religious or philosophical belief” at local authority meetings. The judgement followed a Judicial Review initiated by the National Secular Society to challenge the practice of saying prayers as part of the formal business of council meetings in Bideford Town Council (Devon). The ruling was an important step in recognition of secularism as a basis for equality in public life and public office. Simply, it ensured that all elected councillors, whatever their religious beliefs, would be treated with equal respect at council meetings. If the Local Government (Religious Etc. Observances) Bill were to become law, it would enable a majority of councillors to impose their beliefs on other elected councillors who do not wish to participate. As well as those of no belief, this would of course include those of another faith to those of the prayer being recited. Furthermore, for local democracy to be representative, we think it is important for local councils to resist practices that deter full involvement from all sections of the community they serve. Given that the role of local councils is to represent and serve all people in their area equally, it is inappropriate for them to appear corporately to subscribe to any religious beliefs, far less to one faith in particular. The imposition of prayer gives the impression of the body identifying with a particular belief or range of beliefs. This can alienate those who do not wish to pray, or make them feel they are not full or legitimate councillors. It may also deter prospective councillors/candidates. The Local Government (Religious Etc. Observances) Bill would overturn this ruling, in order to allow one group of councillors to impose their religious practices on other elected councillors. In our view, permitting acts of worship to be imposed on councillors in a secular council chamber, as the Bill seeks do, is incompatible with religious freedom and inimical to ensuring our local councils are equally welcoming to all sections of society. Within each local authority area there will be a diverse range of religious beliefs. If enacted, this legislation can be expected to increase the incidence of religious observance (predominantly, but not exclusively, Christian prayer) during formal council proceedings, potentially generating unnecessary sectarian conflict. We note that the average age of councillors increased from 55 in 1997 to 60 in 2010 and only 4 per cent came from an ethnic minority background. It is important to make local democracy as open and inclusive as possible. The presence of predominantly Christian prayers may be seen as alienating for some who are not Christian. This is equally true for non-believers forced to sit through Christian prayers, as (for example) Christian councillors forced to sit through Islamic ones. The supporters of this Bill claim it increases ‘religious freedom’. We think the opposite is true. The Bill undermines religious freedom by enabling the majority of councillors to impose their beliefs on other councillors. Secularism is a necessary adjunct to any democracy that supports equality for all. 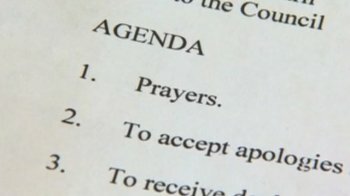 The absence of prayers from the formal business of local authority meetings does not impede the religious freedoms of believers or deny anybody the right to pray. The current legal position simply prevents local authorities from summoning councillors to religious observance at council meetings and imposing it on those that do not wish it. It is important to note that religious freedom is not just for believers. It also includes non-believers. Religious freedom protects both “freedom of religion or belief.” This protects an individual’s rights to manifest their religion, but does not extend to allowing believers to impose acts of worship on those that do not share their faith. This may also be regarded as basic good manners. Secularism does not seek to interfere with believers following their faith in any way, provided that it does not impinge adversely on others. Councillors are free to meet and pray before their meetings, but formal acts of worship should not take place as part of the official business of local authority meetings. In this way, meetings can be conducted without anyone feeling compelled to participate in prayers, or feeling excluded, or that they have to absent themselves from any part of the meeting. Separating acts of worship from the formal business of council meetings creates a neutral space and removes an unnecessary barrier to local democracy being equally representative of all sections of society. Acts of worship can alienate councillors who simply do not wish to participate in public religious activity. This was the experience of the late Clive Bone, a councillor who assisted the NSS in our High Court challenge of the inclusion of prayers before meetings of Bideford Town Council by being a party to the case. Cllr Bone felt uncomfortable in refusing to participate, and said the worship created an unwelcoming atmosphere for non-religious councillors, and that he was aware of it putting off potential councillors from standing. This was also the case for Cllr Imran Khan, a Muslim and Conservative councillor on Reigate and Banstead Borough Council in Surrey, who asked for Christian prayers to be separated from full council meeting as he felt it was wrong that he was forced to stand outside the council chamber while prayers were being said. After speaking out on the issue, Mr Khan was not reselected by the Tories to contest the seat and claimed the prayer row had “a big influence”. Before the High Court ruling in 2012, a number of local authorities introduced multi-faith prayers. Such initiatives, though often well-meaning, became cause of tension, rather than cohesion. Similarly, councillors in Shropshire called a fellow non-religious councillor “disgusting” after he wore headphones during a prayer held during a council meeting. If successful, this new legislation could re-open the door to such unnecessary conflict and sectarianism at council meetings. Community cohesion is best served by local authorities moving away from divisive practices, such as religious worship, that deter full involvement from all sections of communities they serve. In a religiously diverse nation, where large sectors of the population do not hold or practise religious beliefs, local authorities should perform their civic duties in a secular manner without privileging or identifying with any particular religious position. Using the arguments set out in the briefing, please contact your MP and ask them to ensure local democracy is inclusive and secular by opposing Jake Berry’s Local Government (Religious Etc. Observances) Bill. British Humanist Association is holding a hustings on May 6th for the upcoming European Elections. The event is being held in conjunction with the Central London Humanist Group and Conway Hall Ethical Society. The BHA has over 30,000 members and supporters who will be very keen to get their questions to candidates on a range of issues to gender equality, LGBT rights, freedom of thought and expression, sexual and reproductive rights of women, sexual education, freedom of scientific research and access to education for all. Echoing the deeply mistaken comments of Communities Secretary Eric Pickles MP earlier this week, the Prime Minister David Cameron has today repeated the assertion that ‘Britain is a Christian country and we shouldn’t be ashamed to say so’ at a reception for Christians at Downing Street. Like Mr Pickles’, the Prime Minister’s remarks misrepresent the true nature of Britain and give further cause for concern that government is seeking to politicise religion and misrepresent the demography of the country for political ends. More worryingly, the Prime Minister also promised that it was his mission ‘to expand the role of faith and faith organisations in this country.’ He claimed that this has been a ‘consistent theme’ of his government and that ‘there’s more [government] can do to help make it easier for faith organisations.’ He spoke out in favour of more ‘evangelism’ in the UK, and stressed the need for ‘more belief’. In recent years, Government has made a number of attempts to ‘make it easier’ for religious organisations, and has ignored calls from equalities and human rights groups for changes to the contracting out of public services to religious groups, who under current law are immune from Equality Act and Human Rights Act requirements even when carrying out services on behalf of the public. The Prime Minister celebrated the ‘Free Schools’ initiative for ‘allowing Church schools to expand.’ Religious schools are unpopular with the public and the BHA has been campaigning steadily in opposition to Government policy. The Fair Admissions Campaign, in which the BHA plays a lead role, has also been putting pressure on the Department for Education to change its policy regarding ‘faith’ schools, and it has repeatedly turned up evidence that the expansion of the role of religion in our education system is disadvantaging local communities through discriminatory admissions policies. On the time-line listen from about 2.16 to 2.23. Chris Smith writes:I didn’t watch the debate but listened to it while cooking my supper and think I enjoyed it. I certainly enjoyed every word of The God Delusion, an unstoppable rant. Others criticise it for the same reason. Richard D is obviously cleverer than a lot of the people round him and his impatience does come over. And being faced by highly selective quotes and insubstantial stuff must be very irritating. The audience seemed biased towards the RC at first but overall they were perhaps just cheering anything slightly controversial. An invitation from GlobalNet21 to an event “Religion and the Failure of Politics” in London early evening 17 May. It seems to be an open meeting. It clashes with our May meeting.